Although Dolese warned Oklahoma County Commissioners that their trucks would have to haul concrete all the way down Memorial Road to the turnpike construction if they couldn’t build a batch plant nearby, the three-member body still denied the company’s request siding with the county’s volunteer planning commission who recommended the denial. Commissioner Willa Jones, whose district includes the site in question, “Our volunteers on the Planning Commission work really really hard to protect the correct land use. 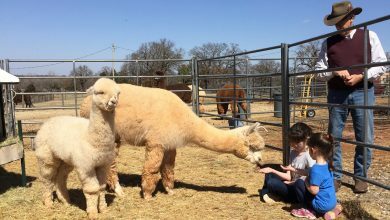 I want to honor them and agree to deny this application,” she said. 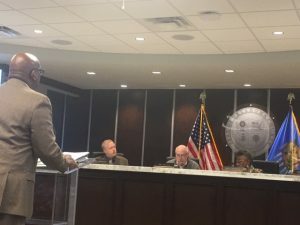 The Oklahoma County Planning Commission met in September to consider the zoning change and special permit request of Dolese. 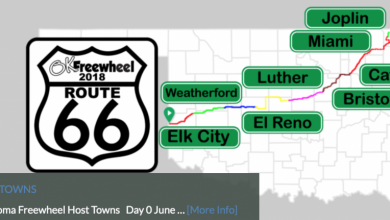 Company officials said it was a land-lease for a three-year plus a three-year option to build a batch plant to keep up with the work to build the new Eastern Oklahoma County Turnpike, and whatever other business might come their way as a result. The site was near Memorial Road and Triple X. That meeting drew several nearby landowners to protest the plant citing many concerns ranging from lights and noise, to air and water pollution. Mike Vorel was one of the protestors at that meeting, who ironically, used to sit on the Planning Commission and developed the County’s Master Plan in 2007. “When we wrote our Master Plan, we kept the rural parts as rural as possible,” he said. He also said approving this zoning change and special permit would make it easier to approve the next one. “You’ll have a hard time saying no the next time if you say yes to this,” he said. He said light pollution and early morning hours of the batch plant would disturb the rural way of life. Neighbor Laura Blaylock also spoke against the plant and pointed out that the truck traffic will damage Memorial Road. “We have an extremely marginal road already. Our road is mostly potholes. After the concrete plant leaves, what will be next? A tire burning plant? We don’t know,” she said. Commissioners asked a Dolese official whether they had considered another options for the batch plant, and the answer was no, saying most of the land in the area is zoned agriculturally. District Two Commissioner Brian Maughan said he had received several calls and emails from residents against the zoning request. Other county officials said they had been pressed by public relations executives for the Turnpike Authority and Dolese to approve it. But in the end, the commissioners voted unanimously to deny the concrete plant, giving a win to the neighbors in the area. Commissioner Ray Vaughan was absent, but his vote was cast by his Deputy Director Rick Buchanan. Before the vote, resident Bill Weger told the Commission that he was shocked that the planning commission only had contacted 17 nearby landowners about the zoning and special permit issue before the September meeting. He said, however, the neighbors spread the word and mobilized to fight the concrete plant. Planning Commission employees said state law only requires that only 15 landowners be informed for such a proposal. 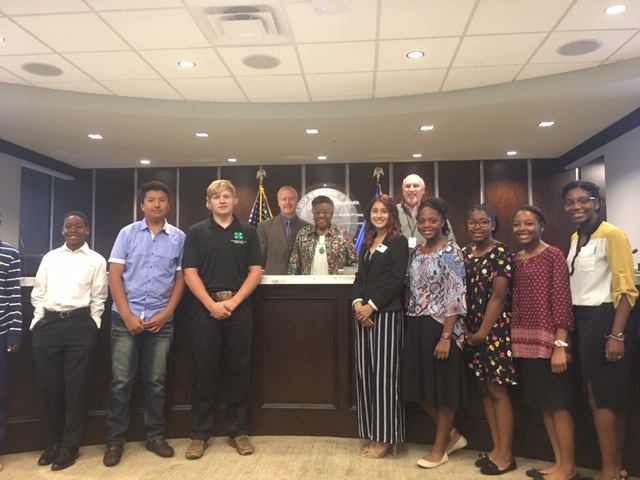 At the beginning of the Commission meeting, Oklahoma County 4H Officers, including Luther’s Carson Wheeler who serves as 4H County Secretary led the pledge and a prayer and invited county officials to a reception after the meeting. Commissioner Johnson who is retiring at the end of this term congratulated Wheeler on his accomplishments and service. 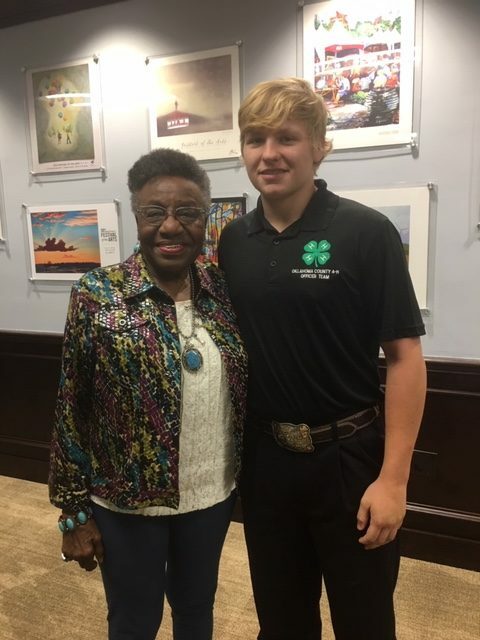 Outgoing County Commissioner Willa Johnson and Oklahoma County 4H Secretary Carson Wheeler of Luther. When asked whether she was ready to leave County government, Commissioner Johnson replied with an emphatic “yes!” Candidates Carrie Blumert (D) and Brad Reeeves (R) are running for her seat in the November election. 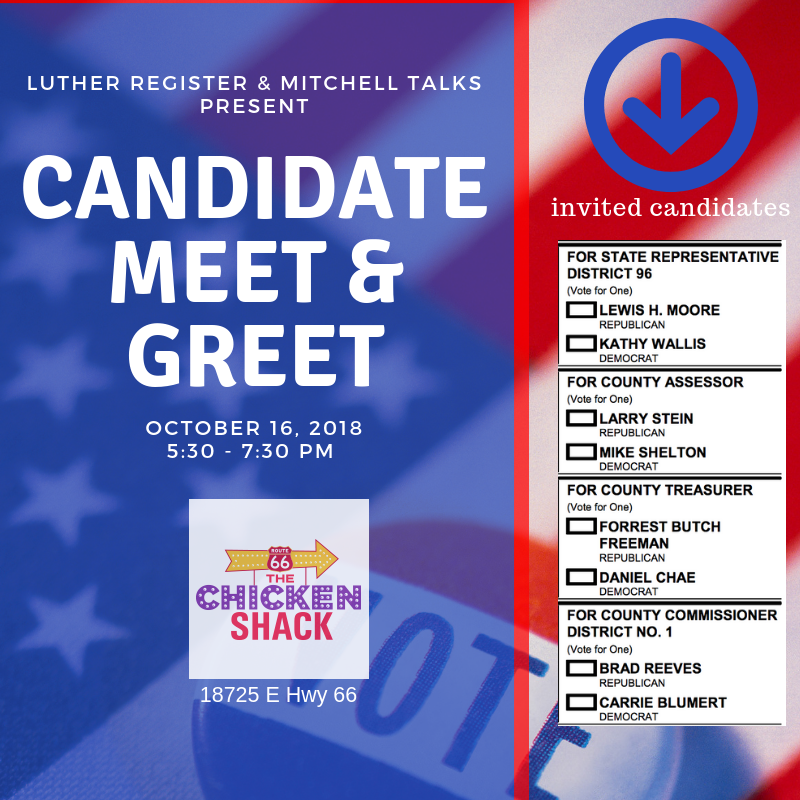 Both candidates are coming to Luther on October 16 for a Candidate Meet & Greet at The Chicken Shack. All are welcome to attend.